WASHINGTON: US President Donald Trump said Friday his relationship with North Korea’s Kim Jong Un “remains good,” despite the failure of a summit last week between the two leaders, reports AFP. 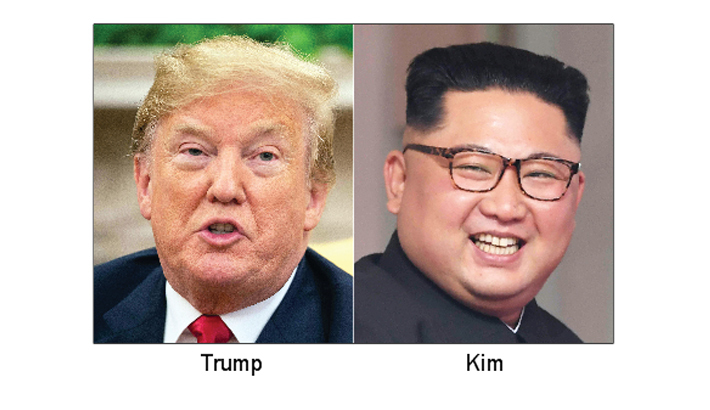 North Korea’s state media had earlier acknowledged for the first time the collapse of the high-stakes Hanoi summit, which ended without any agreement on reducing Pyongyang’s nuclear program in exchange for sanctions relief. “I have a feeling that our relationship with North Korea, Kim Jong Un and myself, I think it is a very good one. I think it remains good,” Trump told reporters at the White House. The meeting was supposed to build on the leaders’ historic first meeting in Singapore last year. Trump repeated his frequent claim that he had brought the US back from the brink of war with North Korea since coming to office. Following the stalemate in Hanoi, researchers said this week that Pyongyang had started rebuilding the Sohae long-range rocket site after Kim had agreed last year to shut it as part of confidence-building measures. “I would be surprised in a negative way if (Kim) did anything that was not per our understanding. But we’ll see what happens,” Trump added. Trump’s remarks, which came as he was departing the White House to visit tornado-hit Alabama, also touched on the fractious US-China trade relationship, domestic politics and the Mueller investigation into possible Trump campaign collusion with Russia. Asked about the months-long trade war with China, the president said he would not agree to any solution unless it was a good deal for the United States.